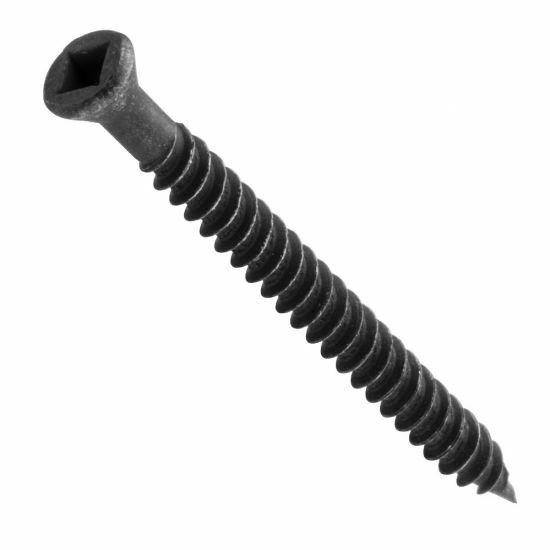 This screw has the low profile of a finishing nail and the holding power of a screw. Optional Bin Boxes are available with your order. 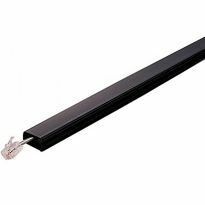 These are the best trim screws out there. I do use other trim screws but something about that #6 size makes me opt to these first. 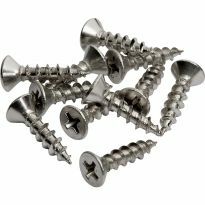 We use trim screws when we are preparing houses for sale/rent and the guys love these screws. These screws are great and of very good quality. I have used a great deal on case work. I know it is overkill but I use them at shelf ends after gluing shelf into dado. Makes super strong joint and you can either fill or plug the hole. Just be. Sure the heads are below surface. I personally prefer to seat them just slightly below the case surface and fill with good color matched wood filler since the cas is pretty thin at the dado. I also attach some face frames and trim with them, especially if the item is to be painted rather than stained. Love trim head screws. These are well made and drive effortlessly. I use them for all sorts of jobs. I prefer countersinking the small heads. I love these screws and would not use anything else!! I have been using these screws for years and would not use anything else. These are very high quality screws and I plan on ordering more of them!! They are a nice screw. Bought them for a a wall mounted tool cabinet I am building from Wood mag. Also however used them to secure an end panel to a counter top, they left a little hole which was easy to fill with putty. I am a newbie to anything cabinet related. So I told my wife to get #8's and she came home with #6. I was upset because now my drill and sink all-in-one drill bit wont work. And then I find out from Cliff's comment that you don't need to. Wow, awesome! I saved time not having to countersink into my new kitchen cabinets, and what makes it even more special is that I can place them 1/2 in from the cabinet door hinge screw's hole and sink it completely plush and because the head is so small you see nothing when the door hinge gets put back. I think this is a great accessory to have. I don't know how well it will hold up over time, but so far it seems to really pull the cabinets together the way it should. Thanks for the advice Cliff! This is the best trim screw ever made. No need to drill counter sink just pre-drill a 1/8&quot; hole and drive it flush or just past flush. I install and design Kitchens for a living and I advise any finish carpenter to use these when installing cabinets. Remember this is a trim screw not a cabinet hanging screw. I use these screws in construction of cypress patio swings. They draw the wood tightley without requiring much wood filler for the head, in comparison to larger phillip head screws. About what I expected in terms of the product. However, the service was excellent and I am very satisfied. I have taken up using screws for things like baseboard and ceiling molding. This makes them easy to remove and replace so that I can paint or do some work behind the wall. I don't fill in over the screw heads either. The trim head is barely visible and square drive heads are better than philips heads. 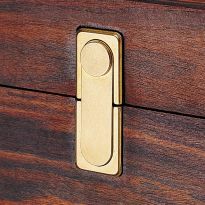 Excellent screw for fine finishing of your custom woodworking components; even all laminates if you must use a screw then putty in a concealed area as I've done. Great price also. I needed 1 3/8 " but had to settle for 1 /4"
I needed a small headed screw for the trim around a pocket door since we need to be able to remove the trim if we need to remove the door. Needed a fine screw to go thru soft pine. These screw are beautiful...and hide nicely. The square drive head doesn't fall off the driver easily. In 25 years I've only broken off 3 screw head while driving them into the wood...and that was in walnut. Good quality when the job calls for special screws. I found these do not break like some do. I need the smallest screw possible to attach trim to the edge of a flat-top plank. Gives installed cabinets a finished look. They work well in small projects. These screws hide easily. For custom interior trim work. Excellent strength and square drive is superior to Phillips. I chose these items because I'm sure like all the products, I purchase they're the best. Replacing my flooring and did not want to try and nail my trim in all the tight places. Worked well for the project chosen. Used this for some tough to hang heavy crown molding. Rockler always what i'm looking for, no matter what I need. Is 2 bigger than !? BEST ANSWER: I assume you mean square head size? The sizes of square heads I have used, from smallest to largest are 0, 1, 2, and 3. 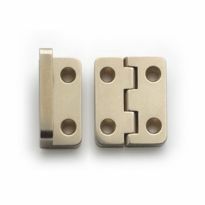 A Size 0 is very small and is used for #6 and smaller screws, but generally for #4s and smaller and usually very short , 3/8 inch to maybe 3/4 inch. Most #6s have a Size 1 head, so it just depends on the screw. I have used screws with a Size 1 head up to #8 screws, but usually, #7s are as large as a Size 1 head goes. Size 2 generally takes over at #7-#8 and I have seen them go to a #10 screw, but above that, a Size 3 bit is usually required. Square head screws are the bees knees because they don't cam out easily and if you buy a good screw, they also won't usually torque off. I love these trim head screws. I generally have 3 lengths on hand, 5/8s, 1 5/8s, and 2s. I usually drill a hole before using a 2-inch. I have used these in everything from stair railings to bookcases to even an alter for a church. You will love them. Robertson (Square) screwdrivers are actually colour coded and there are 6 sizes. Orange (#00) is for #1 and 2 screws. Yellow (#0) is for #3 and4. Green (#1) is or #5-7. Red (#2) is for #8-10. Black(#3) is for #12 and 1/4" and Brown (#4) is for 5/16 and 3/8"
are these screws for hardwood face-frames? BEST ANSWER: I have used many in hardwood face frames, even in some Purple Heart, but always pre-drill so you do not split your frame if it is narrow. Also be sure to center well in your case material. The pre-drilling pretty well prevents it, but if you don't the screws can do undesirable things when they hit a hard glue line in plywood. Are these fine thread? Ok to attach molding into steel framing? 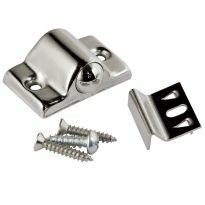 BEST ANSWER: I would be hesitant to use these screws to attach to metal framing as the threads are a bit too fine to hold in the metal and I think you would have to predrill the metal framing as these particular screws are not self-tapping. Fine thread. I never used these screws to fasten anything to steel but they are very close to the screws used in metal framing. I have used these screws in metal and they do work, however, the fine threads are best in hard woods. The trim screws for metal have a splayed, self starting point and are difficult to use in wood because the "hunt" rather than dig in. What is the diameter of the head?, and can they be used for 1/4 inch thick panels? BEST ANSWER: dia of head is 3/16" and I would not advise using them on 1/4" thick, mainly because of the countersunk head. What size bit do I need for finish screws?